He performed cataract surgery with great results. I am still recovering at this point and will have final examination in the future to correct astigmatism with glasses as agreed upon before surgery. Very good client service. The people were friendly and I was quickly seen by the doctor. Very helpful, courteous and friendly office. Dr. Jadav is very knowledgeable and very reassuring and friendly. Excellent treatment from Dr.Dip Jadev. Best customer care service from well disciplined staff. Dr. Dip Jadav is the best eye doctor I have ever seen, I will recommend him to my family and friends. Dr. Jadav and his staff make visits what they should be.. available, prompt and informative. I was referred by my PCP and so glad she did. Very courteous, friendly, knowledgeable with excellent professional ethics. Facility is nice and clean. Overall the experience was good. Courteous staff. Dr. Jadav was friendly and caring. Everyone in the office was very professional and kind. Very professional, very caring and I live in Florida and fly every time to see Dr. Jadav and I already scheduled my Cataract Surgery for next year with the latest technology. The visit was great. The staff was friendly. My appointment time was respected. The doctor was very easy to talk to, and I just felt very comfortable. I would give it six stars if I could. Finally found my lifelong eye doctor. Dr. Jadav is wonderful and made me feel comfortable/calm despite the anxiety my eye infection was causing me. He is the best! As always I was taken in at the appointed time and received professional attention, care and concern. It is refreshing and reassuring to find a doctor like Dr. Jadav. My visits are always pleasant. Very thorough, knowledgeable, courteous. I felt a sense of concern and caring, without any pressure to proceed with the recommendations. Excellent care all around! 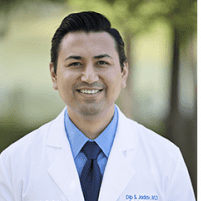 I would highly recommend Dr. Jadav to my family and friends.